A couple of weeks ago my cousin passed away, and I traveled to Georgia to be with my family for the funeral. My cousin’s death was published in the local and state news papers and online. I was previously aware of the interactive side of news (being able to comment on an article) but had never commented on any articles or been on the receiving end of those comments. People who new my cousin or our family left notes of sympathy, love, and encouragement after the obituary. I thought this was a wonderful use of the interactive web. However, there were also comments left from readers of the news story (separate from the obituary). Some of the comments and opinions left were uncensored as far as how they may impact and affect the family of the deceased. I saw this as the less attractive side of the interactive web. Since then, I have been pondering how to blog about my new experience with the interactive web and what I learned from it. First, I think the ability to comment on the news can be thought provoking and beneficial. The comments of sympathy, love, and encouragement were overwhelming and brought joy and warmth to our family. However, I don’t think that it is a place where the random reader should write whatever they want just because they can. Maybe this falls under web etiquette. 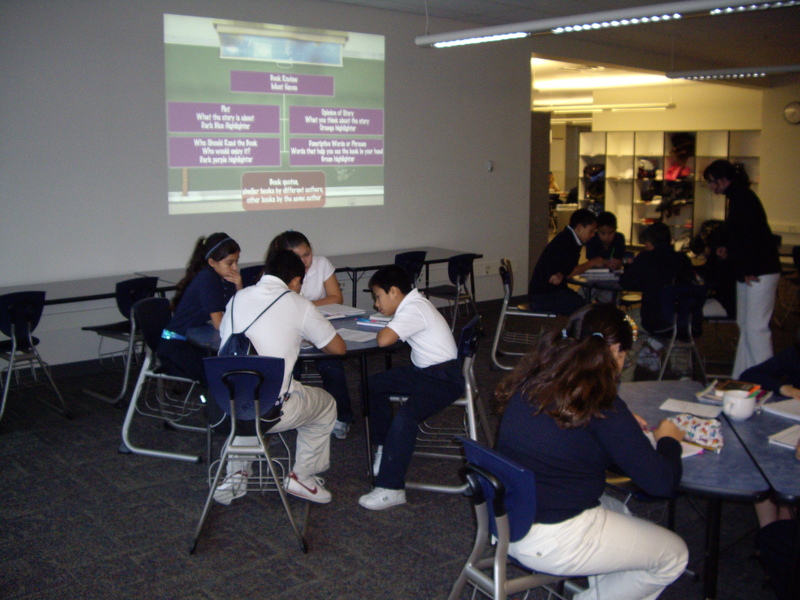 So, why did I blog about this and what does it have to do with English language learners? I think that this is another form of authentic writing that can be used with our students. Standard 2 of the American Association of School Librarians (AASL) standards for the 21st-Century Learner states that “Learners use skills, resources, and tools to draw conclusions, make informed decisions, apply knowledge to new situations, and create new knowledge.” As members of a democratic society, it is essential that our students know how to think critically and make informed decisions. It is also important to teach them how to participate ethnically and productively (AASL standard 3). The interactive news websites can be a tool we use to facilitate the teaching of these skills. After my classes created a book review rubric, it was really important to begin writing their first review. One of my criteria was that they must finish a book before they review it. While that might not always be necessary, a lot of my students struggle to really describe why they aren’t liking a book. I get a lot of “It’s boring.” I am working to try and get them to really understand why they don’t like it, but they aren’t all totally there yet, but that is another problem. They had to use the rubric to write their rough draft. We talked about what elements they should include in the review and in what order. Descriptive words, we decided, needed to be added after the rough draft was completed. It was a polishing area as opposed to a component of the review. After they finished their rough draft, they edited it for content and word choice. I then edited it once more. I had my students write out the review because they are not able to draft on the computer and polish their writing in the 20 minutes that I have in the computer lab. There is also no way to save the review to complete at a different time. After they had created the review and edited it, we headed into the computer lab. In order to post on Amazon, you must have a customer account. Additionally, you must purchase something on the account. If you purchase a book, you can then delete the payment information and still use the account to post reviews. I had created screen shots to help students log in. It is quite a process to login to the account, so there were many steps that they needed to follow. You can see the login sheets here: Logging in to Amazon. I was very glad that I had the screen shots for my students to use and that they had written their reviews ahead of time. It took them the full 20 minutes (at least) to get the review entered and edited before publishing. They were very excited about publishing it to the internet – I was as well. We posted our first reviews in December and have since posted one more round. They were able to access the account much faster which meant that they had time to edit their typos. I am now having them post one review a month. Note: You might check your Amazon profile to make sure that is shows the reviews you have posted (or find your review under the book’s information). I have run into a problem with my account. None of my reviews had posted after my first test. I have contacted customer service, but the problem hasn’t been totally fixed yet. You might not have any issues with this, but it is something to keep an eye on. 2nd Note: 4/1/09 – I figured out the posting issue. When your students enter their review, have them select that they are over 13. This will allow the book review to be posted. This was not a privacy issue as the account they were posting under was Mrs. Duarte’s class, so their names don’t appear anywhere. I have also discovered that if one person writes a book review on The 13th Reality, no one else can post a review on it. That means that each student will have to create a review on a different book. This might be a problem depending on how many students you teach, then again, you can always create multiple accounts. As part of my continuing attempt to create authentic writing experiences for my students, I had my students write a holiday letter and mail it to a person of their choice. There were many benefits and lessons to be learned here – friendly-letter format, summarization (milestones of their year), what a full address is, addressing an envelope, and the purpose of a holiday letter. Here is what I discovered. Even though my students are in middle school, most of them don’t know what constitutes a full address, they don’t know how to address an envelope, they have difficulties coming up with things to write about, and they were completely amazed that I was going to mail their letters. We stapled these into their spirals so that they could reference them, both for the holiday letter and their epals e-mails. They finally started writing their letters. I created a basic letter format that they would copy their final draft onto. It had some generic pictures and text boxes on it. It wasn’t that big, so they didn’t have to write a lot of information. This was actually a good thing, because some of them really struggled with things to write about. Here is what I would change next time: I would give them more time to work on the project. Some students struggled getting all of their information written, edited, and their envelop addressed. I also need to work further on editing skills. It is something that they are not proficient at. I do feel, however, that this was a very worthwhile project and will probably expand it a little and repeat it next year. Before my students started writing their own book reviews, I wanted to make sure that they knew the target that they needed to aim for – that is what I call a rubric. We used the same four sections from the book review highlight activity: who should read this book?, descriptive words, plot, and opinions. We added three optional categories: characters, genre, and rating. 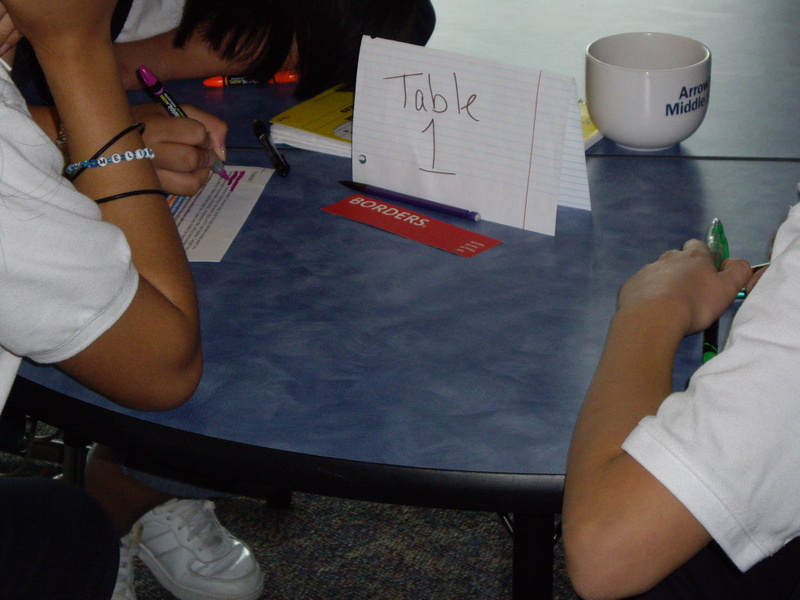 After we had each of the topics that they needed to include, we started filling out a rubric together on the overhead. Since we had created a booktalk rubric together earlier in the year and they had been assessed on the rubric, they were familiar with the possible scores they could receive in each area: advanced, proficient, partially proficient, unsatisfactory, or no attempt. We usually fill out the advanced first, then work our way down the scale. We listen to everyone’s ideas and come to a consensus. After we create the rough draft, I type up the information, create an overhead and have my classes review the information. I want to make sure that they agree to everything on the rubric, because that is what they are going to be required to do. So, after the creation of the rubric, it was time for them to write their own book review…to be continued. As I looked at my students’ proficiency levels at the beginning of this school year, I noticed that most of my students struggled with their writing. My district requires quarterly assessments, and again, they were unsatisfactory or partially proficient in writing. I didn’t just want them to write for class, but I wanted an audience and for them to publish it as often as possible. I was surfing Amazon and it finally connected for me – my students could post book reviews online. I decided to find a way for them to use this site to publish their writing. As I looked further into the site, I discovered that they could post their reviews as “A Kid’s Review.” This was perfect as I don’t want them to put up their names or locations. They will log in under my name, type their reviews, and post it as a kids’ review. Earlier in the year I showed my students amazon.com (most of them had never visited the site or heard of it) and how to search for books and read book reviews. So that was where I started. 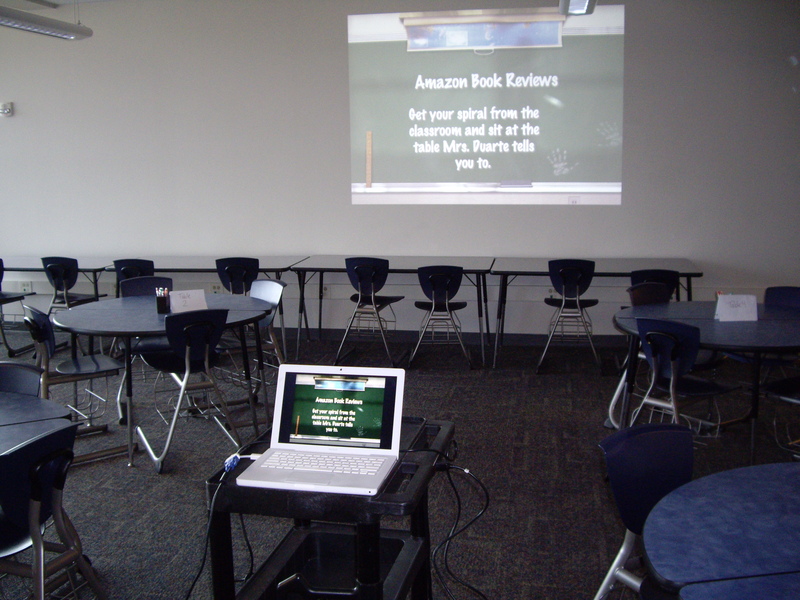 With a borrowed laptop and LCD projector, my students and I search the site, looking specifically at book reviews. We pulled up reviews on books that they were reading. They were shocked that people wrote reviews about books that they didn’t like and that people didn’t necessarily like the books that they loved. They were also concerned that the authors would read the reviews and see that people didn’t necessarily love their book. We made sure that we previewed some of the reviews before class so that we could specifically show them some examples where the reviewer had a lot of voice and was creative. One of my students wanted to post a review about his favorite book right there, so we did. He dictated what he wanted to say, read it over, edited it, and then we posted it. It takes about 48 hours for a review to post, so I checked back a couple of days later, and there it was. I showed it to him, but he said that he had already looked online and seen it. My next step was to have my students start breaking apart reviews and looking for the “must haves.” I created a PowerPoint presentation to show students the various parts of a book review. Pod area set up ready for class. After going through the example, students worked in groups to highlight the major parts of their book review. I discovered that it was difficult for them to tell the difference between opinions and plot. I can tell that we are going to have to work on this as they begin writing their own reviews – which will be next week.